Have you checked the average driving distances the ladies on the LPGA Tour hit their tee shots? How do these Ladies, some as short as 5 foot 3 and as light as 120 pounds, average 270 yards? 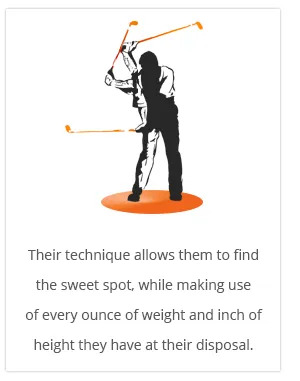 There is no substitute for finding the hitting zone or sweet spot of the club face. 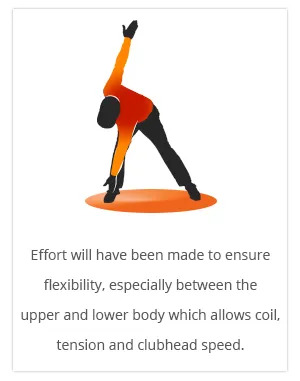 It allows you to maximize energy transfer from your swing into ball speed. 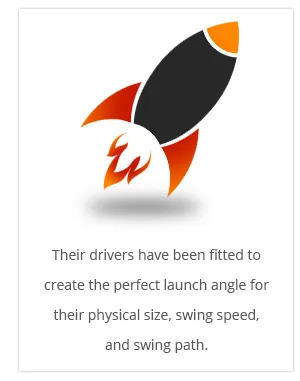 Are you getting every yard you could be getting from your swing? Contact us for an assessment.